According to The Canadian Arthritis Society more than 4.6 million Canadians 15 years or older are living with some form of arthritis. 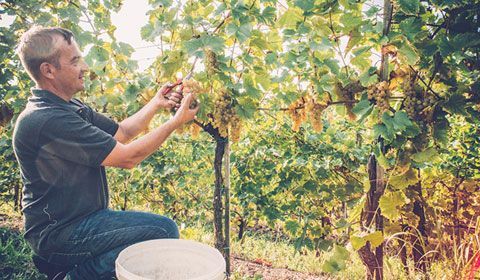 By 2036, this number is expected to grow to an estimated 7.5 million Canadian adults. 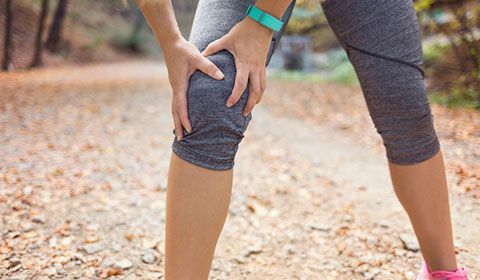 Arthritis means inflammation of the joints (“artho” Latin for joint and “itis” Latin for inflammation) and describes 200+ rheumatic diseases and conditions that affect joints, the tissues around joints and connective tissues. Arthritis can occur in any and often many joints in the body, ranging from relatively mild forms of bursitis or tendinitis to more disabling conditions like rheumatoid arthritis. Arthritis is particularly common in weight-bearing joints such as the knee, hip and spine, but can also occur in fingers and other non-weight-bearing joints. Left untreated, arthritis can eventually lead to long-term debilitating joint damage and even potentially affect some internal organs. The symptom common to most forms of arthritis is joint and/or musculoskeletal pain. This usually results from inflammation of the lining of one or more joints, which is why there are so many conditions grouped together as 'arthritis’. The most common symptoms of arthritic inflammation are redness, swelling, heat, pain and/or difficulty moving one or more joints. Because there are so many potential causes for joint inflammation, the pattern, location and specific symptoms can vary greatly. Arthritis symptoms can develop suddenly, or gradually over time. 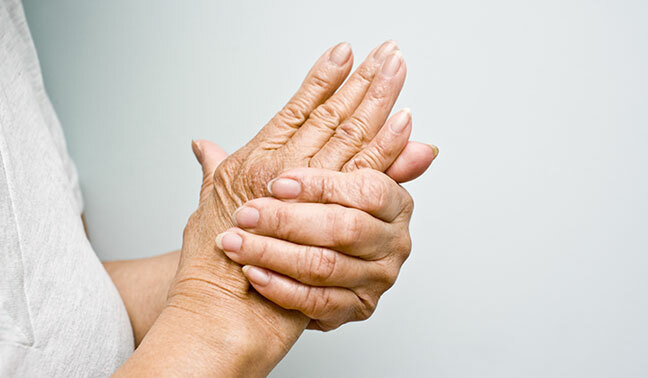 As arthritis is typically a chronic disease, symptoms may come and go, or persist regularly. Arthritis pain can be constant, come and go, or be associated with specific joint use. Arthritis pain might be isolated to one joint or felt in many parts of the body. The skin over an inflamed joint can become warm to the touch, red and even visibly swollen. A common symptom of arthritis is joint stiffness. Some forms of arthritic stiffness can be worse after waking up, after sitting for extended periods or when exposed to certain weather conditions such as humidity or extreme cold. Although restricted joint movement can also be an indication of other conditions, it is often associated with arthritis, particularly long-term inflammation. What are the types of arthritis? The two most common forms of arthritis are osteoarthritis, a degenerative disease that affects the joints specifically and rheumatoid arthritis, an autoimmune disorder that often affects the hands and feet. Osteoarthritis results from wear-and-tear to the joint cartilage that coats the ends of bones. If enough damage occurs, connecting bones will grind directly against each other, causing pain and mobility issues. This wear and tear can occur over many years, or it can be accelerated by a joint injury or infection. Rheumatoid arthritis occurs when the immune system attacks the inner lining (synovial membrane) of the joint capsule. The capsule encloses all parts of the joints and when the synovial membrane becomes inflamed and swollen the surface of the bones are affected. This condition can eventually destroy the cartilage and bone of the joint. Because arthritis has symptoms that can result from such a wide variety of conditions, there is no single cause of arthritis; rather, the cause or causes vary according to the type or form of arthritis. Although some forms of arthritis have no obvious cause, most types of arthritis are caused by a combination of factors. Age - the risk of many types of arthritis increases with age. Gender – different conditions can be more common based on gender. Women are more likely than are men to develop rheumatoid arthritis, while most men are more likely to develop gout. Family history - there is a higher risk of developing arthritis if parents or siblings have a history themselves. Immune system dysfunction - such as in rheumatoid arthritis (RA) and systemic lupus erythematosus (SLE). Previous joint injury - People who have previously or repeatedly injured a joint are more likely to eventually develop arthritis in that joint. Obesity - Extra pounds puts stress on already stressed load-bearing joints, particularly knees, hips and spine. Infection- Microbial agents can infect joints and trigger the development of various forms of arthritis. Many of these kinds of infections can be treated under the supervision of a doctor. Consultation with your health care provider is recommended when persistent joint pain is identified. If arthritis is suspected, then one or more of the following imaging methods will be used to identify the extent and severity of the condition. X-rays can show cartilage loss, bone damage and bone spurs. X-rays may not reveal early arthritic damage, but they are often used to track progression of the disease. CT scanners take x-rays from multiple angles to create a 3D view of a joint, providing a more sophisticated view. 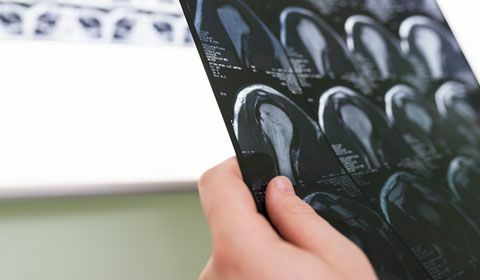 MRI’s use radio waves and a strong magnetic field to produce detailed cross-sectional images of soft tissues in a different way than x-rays. High-frequency sound waves are used to image soft tissues, cartilage and fluid-containing structures such as bursae. Ultrasounds, although not as detailed an image as an MRI, can produce images in motion showing joint action. For both inflammatory and non-inflammatory types of arthritis; or even a painful case of gout, there are numerous medical and non-medical options to relieve pain and ensure that joints do not become further damaged. Any form of repetitive or persistent joint pain should be evaluated by a doctor. The doctor will identify the underlying cause or causes of the problem and then recommend a treatment program. Arthritis treatment focuses on relieving symptoms and improving joint function. A combination of several different treatments may be needed depending on the underlying condition, or combination of conditions. Doctors will often recommend physiotherapy to help overcome some of the challenges of arthritis and improve mobility. Therapies and exercises can increase range of motion and strengthen the muscles surrounding affected joints. In some cases, splints or braces may be warranted. Physiotherapy – a physiotherapist is a licensed professional with clinical experience and a robust understanding of arthritic conditions. A physiotherapist can develop and support non-medical programs and rehabilitation therapy programs for arthritis. Massage - manual compression and kneading of muscles can increase blood flow and stimulate affected joints, temporarily relieving pain. Make sure your massage therapist knows which joints are affected by arthritis. Yoga or tai chi -the slow, stretching movements associated with yoga and tai chi may help improve joint flexibility and range of motion in people with some types of arthritis. Warm water therapy - exercises in a warm-water pool or tubs enables gradual flexing, stretching and strengthening of muscles surrounding affected joints with less weight and pressure. Occupational therapy – certified professionals can provide advice on managing everyday tasks, choosing specialized equipment, and protecting the joints from any further potential damage caused in the workplace. In extreme cases where physical and medicinal treatment still does not alleviate the pain or disability caused by arthritis, a doctor may recommend surgical intervention. Joint repair - in some instances, joint surfaces can be smoothed or realigned to reduce pain and improve function. These types of procedures can often be performed arthroscopically — through small incisions over the joint. Joint replacement -this procedure removes the damaged joint and replaces it with an artificial one. Joints most commonly replaced are hips and knees. Joint fusion -this procedure is more often used for smaller joints, such as those in the wrist, ankle and fingers. It removes the ends of the two bones in the joint and then locks those ends together until they heal into one rigid unit. In combination with medical treatment, self-management of arthritis symptoms is also important. There are seven important self-management habits that can help control and even reduce the impacts of arthritis. Keep track of symptoms, pain levels, medications, and possible side effects for consultations with a supervising doctor. Medication regimens can be combined with non-medical pain management to manage pain and mitigate the resulting fatigue. Exercise is beneficial for managing arthritis, by strengthening the surrounding muscles, and also improves overall health. In addition to remaining active, rest is equally important when inflammation is flaring up. 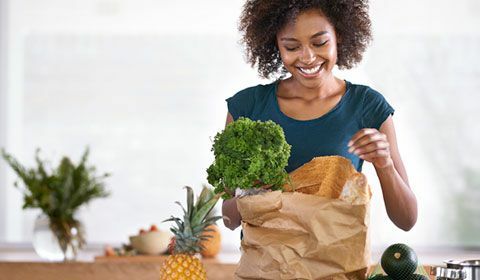 A nutrient-rich diet can help achieve a healthy weight and control inflammation. Avoid refined, processed foods and pro-inflammatory animal-derived foods. Choose whole plant foods that are high in antioxidants and have anti-inflammatory properties. Sleep deficits can aggravate arthritis pain and fatigue. Take steps to improve sleep hygiene to make it easier to fall and stay asleep. Use other stronger joints for everyday activities and movements to alleviate pain and pressure on those affected by arthritis. You don’t have to live with pain.